Spring has finally arrived and it’s time to get your office in 100% top notch shape. With our professional cleaning tips and the right cleaning tools, you can have your work facility looking sparkling clean in a small matter of time. 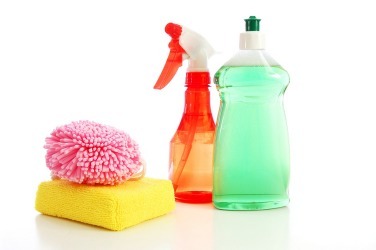 Follow our janitorial advice for a professional office spring cleaning! The best time to clean your office is when nobody is there. This gives you less distractions from coworkers/business and allows you more freedom to run around like crazy and clean, clean, clean! Remember, vacuuming can get noisy. Therefore, you don’t want to interrupt your coworkers or employees. Depending on the size of your office and how long it’s been cleaned, plan on spending at least 30 minutes for your cleaning. Take an empty bucket and fill it with some cleaning essentials such as: Lysol (or a similar disinfectant), Lysol wipes, all-purpose cleaner, Windex (or a similar window cleaning product), AJAX, toilet bowl cleaner, liquid bleach, carpet/upholstery spot cleaner, toilet bowl cleaning brush, sponge, gloves, microfiber cloth, rags, feather duster, and air freshener. 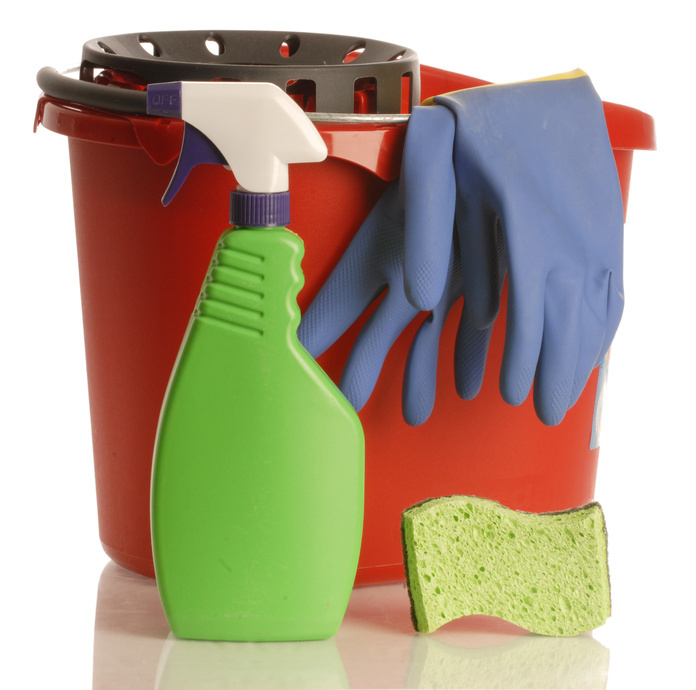 In addition to your mop bucket, have on board several extra trash liners, paper towels, toilet paper, and soap refills. Don’t forget your floor cleaning tools! Here are some that will come in handy during your office cleaning: Broom, vacuum, mop, mop bucket, and a floor steam cleaner. Advise your coworkers to clear off their desks before you begin. Less clutter means less things you have to work around. This makes it easier for you to dust and disinfect without desk items getting in your way. Also, if you plan on cleaning the interior of any refrigerators, ask your coworkers to remove or throw away unwanted food items. Now that you’re ready for your office cleaning endeavor, it’s time to transform your dirty work space into a brand new looking facility. Make sure to hit all areas and surfaces of your office. Begin dusting from high surfaces, and gradually work your way to the lower spots. Disinfect all heavily handled items throughout your office including: Light switches, door knobs/handles, telephones, etc. Thoroughly clean all items in restrooms such as: Toilets, sinks, floor surfaces, mirrors, counter tops, and more. Clean all kitchen and kitchenettes including: Interior and exterior of refrigerators, stoves, counter tops, interior and exterior of cabinets, dining room tables, etc. Every single office/room should be dusted, wiped down, and disinfected. Empty all trash receptacles, shredders, and recycling bins. Remember to replenish all trash liners along with paper towel/ toilet paper dispensers, and soap refills. Spot clean all carpets and rugs. Vacuum, sweep, and mop all floor surfaces. Remember to take the trash out! Unfortunately, a single office cleaning isn’t going to stay sanitized forever. 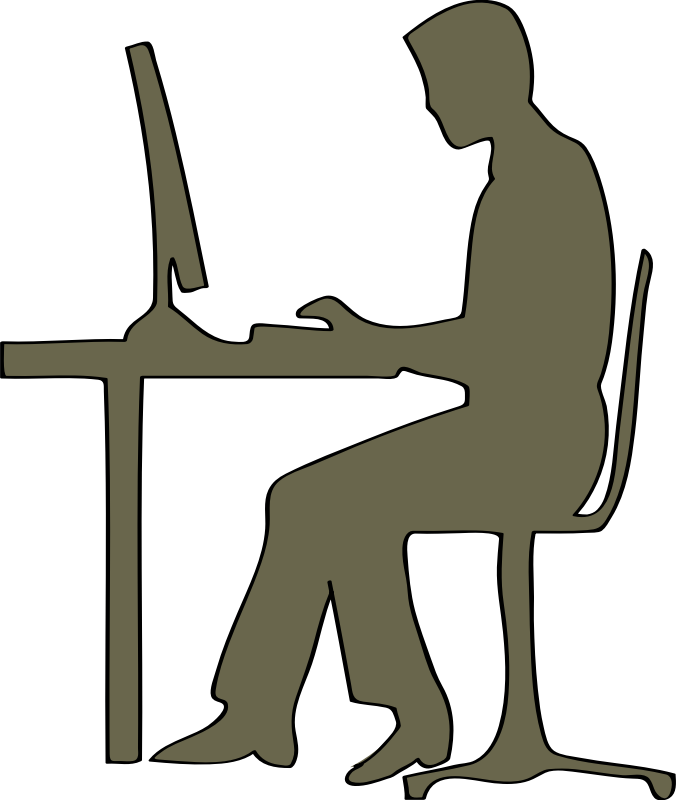 An office requires cleaning attention and care on a regular basis. Some work facilities require a weekly cleaning, versus larger and busier offices may need cleaning performed 7 days per week. Establish how many nights you may think your office needs a good washing. 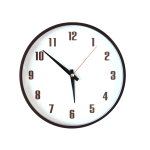 Set up a schedule and time in order to maintain a consistently clean and beautiful work facility. 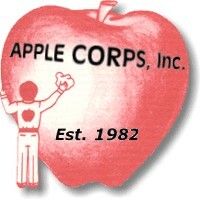 Apple Corps’ professional cleaning staff are properly trained and experienced in office janitorial services. Call us today for a free quote for all of your office cleaning needs.